I’ve been traveling in Japan, meeting with government officials, power sector executives, and energy policy scholars. I thank CFR life member Bill Martin, Washington Policy and Analysis, and the Japanese Federation of Electric Power Companies for generously hosting me. TOKYO—Last month, Japan commemorated the five-year anniversary of the great earthquake and tsunami that caused the Fukushima Daiichi nuclear disaster. The disaster—three nuclear reactor meltdowns and the release of some radioactive material—forced 164,000 residents to evacuate and deeply traumatized the country. So when Japan shut down its entire fleet of nuclear reactors, it was unclear whether they would ever restart. Five years later, the outlook for nuclear power in Japan is better, as are prospects for a cheaper, cleaner, and more secure energy mix. In 2015, Prime Minister Shinzo Abe’s administration completed a four-year-long process to set targets for Japan’s energy mix in 2030. Those targets include restarting Japan’s nuclear fleet as quickly as possible, though only after reactors pass stringent safety assessments. The administration has also committed to ramp up renewable energy, aiming to combine it with nuclear power to generate nearly half of Japan’s electricity—or a quarter of its primary energy—from “self-sufficient sources” by 2030. And Japan is finally moving ahead with long-overdue electricity system reform to introduce more competition and keep costs down. The targets represent an admirably rational response to the Fukushima disaster. As I’ve written before, Japan should treat renewable energy and nuclear power as complements, not substitutes, which the Abe administration recognizes. Yet even though administration officials talk about their 2030 vision as a major accomplishment—requiring years of careful analysis and negotiation—setting targets was the easy part. Now Japan needs to execute toward those targets, and an obstacle course of regulatory, legal, and political hurdles stands in the way. If things don’t go according to plan, the government needs to be prepared to adapt its targets, remembering that they are merely instruments to achieve Japan’s overarching energy goals. Restarting Japan’s nuclear reactors could reverse alarming trends that followed Fukushima. After Japan shut down its nuclear reactors, the price of retail electricity rose by two thirds, and the share of imported fossil fuels in the power mix rose from roughly 60 percent to nearly 90 percent (Figure 1). At the moment, low prices for oil and liquefied natural gas (LNG) have reduced Japan’s import bill. But the resource-poor island nation is still at the mercy of commodity market volatility and would suffer if prices increased again. For this reason, Japanese officials care deeply about energy self-sufficiency. If Japan can achieve its nuclear target for 2030, then nuclear will reemerge as its largest source of self-sufficient power. But the nuclear target is easier set than accomplished. 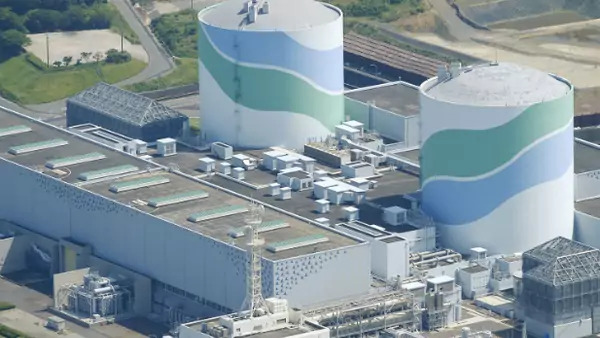 Recently, a district court ordered that Takahama Units 3 and 4 stay closed, siding with some residents unhappy about plans to restart the reactors. Whether or not the court’s decision was right (it is puzzling how a local court could overrule the safety assessment of Japan’s nuclear regulator), it certainly appears that the road to restarting Japan’s 42 reactors—of which only two are currently running—will be bumpy. And that’s not all. After Fukushima, the previous government passed legislation making it harder to extend a nuclear reactor’s lifetime beyond 40 years—consistent with its plan to completely phase out nuclear energy. By 2030, one third of existing reactors will hit the 40-year age threshold for decommissioning. Even if utilities manage to finish construction on three new reactors, nuclear energy will still only account for 15 percent of Japan’s electricity. This implies that achieving the government’s 20–22 percent target by 2030 is improbable at best. Uncertainty over nuclear reactor restarts also complicates Japan’s plans to reprocess spent nuclear fuel. When the Rokkasho Reprocessing Plant (RRP) starts up in the near future, it will begin to separate plutonium from the spent fuel that has been accumulating at the facility and at reactor sites around Japan. If enough reactors don’t start up that can burn the reprocessed fuel (in a form called “MOX” fuel) from RRP, then Japan will begin to accumulate reserves of MOX fuel that some experts consider a proliferation risk. After touring RRP, I was left with little concern over the risk that Japan could divert nuclear material to a weapons program or leave it vulnerable to theft or sabotage (Japan’s safeguards at RRP are state-of-the-art, including 140 neutron detectors throughout the facility, multiple cameras recording each step, and automated reporting to the International Atomic Energy Agency). Nevertheless, the government knows that accumulating reprocessed fuel brings risks, including inflamed tensions with China, which has repeatedly voiced concerns over the issue. All of this means that Japan needs to seriously plan for the contingency in which the target nuclear capacity does not materialize. It will need to carefully synchronize operations at RRP with reactor restarts, and it will also need to explore other ways of achieving zero-carbon, self-sufficient energy. Although Japan is likely to miss its nuclear target, it has other zero-carbon options to meet its larger goal of 25 percent self-sufficiency in its primary energy mix. Renewable energy, comprising hydro, solar, wind, and geothermal energy, could compensate for a nuclear shortfall. Already, Japan has made substantial progress in ramping up renewables. Following Fukushima, Japan unveiled a generous feed-in tariff incentive scheme to support renewable energy. The market responded enthusiastically, especially in solar power. By 2014, Japan was second in the world to China in annual solar installations, having installed 9.7 GW of capacity. Recognizing that it could not continue funding solar power at such generous levels forever, the government lowered the rate of incentive payments by 16 percent in 2015 and a further 11 percent last month. Nevertheless, its target of 22–24 percent renewable energy by 2030, driven largely by projected growth in solar power, is still well within range. The government set this target by calculating the level of renewable energy that would not cost Japan more in incentive payments than it would save from displaced fossil fuel imports. But in its calculations, the government assumes that solar will cost about six cents per kWh in 2030, a very conservative projection; for reference, unsubsidized solar power in the United States should meet that cost target a full decade earlier, by 2020. Given that solar is likely to be much cheaper than the Japanese government has anticipated, it should not be difficult to support the target share of renewable energy in 2030 without breaking the bank. In fact, Japan should look to support even higher levels of renewable energy. Over the past year, the government has made regulatory changes in this direction. First, it limited the number of days that utilities could "curtail,” or switch off, renewable energy supply to the grid without compensation for the foregone power. Second, Japan has streamlined regulations to drive down the costs of installing rooftop solar—as a result, the price of residential solar in Japan (which composes the large majority of Japanese installed capacity) is lower than that in the United States and closer to leaders Germany and Australia (Figure 2). Finally, Japan is now rolling out a reverse auction system to buy power from utility-scale solar installations. Since large-scale solar is cheaper than rooftop solar and reverse auctions tend to secure lower prices than a feed-in tariff, the shift from decentralized to centralized solar in Japan should further drive down costs and fuel capacity expansion. But intermittent renewable sources, such as solar and wind, have limited potential so long as Japan’s electricity grid remains fragmented. Each of Japan’s ten regional utilities exercises a monopoly in its service territory, and electricity trade among regions is comparatively low. Moreover, the entire power grid is split into two halves operating at different frequencies, limiting power flows between east and west. With better transmission links between regions, the Japanese grid could accommodate more renewable energy, making it easier for resources in one region to compensate for unpredictable renewable energy in another region. Therefore, to make it possible to raise its renewable energy target—important for reducing emissions and increasing energy security—Japan should invest substantially in a more interconnected national grid. On April 1, Japan took an important step toward breaking up its vertically integrated utilities, when it fully deregulated the electricity retail market. Many jurisdictions in the developed world have had deregulated markets—which in several cases has lowered electricity rates by introducing competition into the sector—for decades, but Japan’s path to deregulation has been sluggish. Still, the government has justified its caution by pointing to missteps elsewhere in the world and tailoring its own policies to avoid them. For example, though it now allows customers to choose their retail electricity provider, customers will still be able to stay on a regulated rate from the local utility, and the government will carefully monitor how the market evolves. In doing so, the government hopes to avoid market abuses that plagued deregulation in the United Kingdom and California. But the one aspect of deregulation about which I did not hear a satisfactory answer from Japanese officials was how to avoid the conflict between renewable and nuclear energy that is playing out in other deregulated markets. For example, in many parts of Europe, nuclear power is increasingly unprofitable as a result of the rise of renewable energy. The way deregulated power markets are set up, renewable energy reduces power prices, making it difficult for existing nuclear plants to cover operating costs and virtually impossible for new nuclear plants to raise enough revenue to amortize capital costs. Today, there is a lower risk of this happening in Japan, because only about 2 percent of power is traded on a wholesale power market. But the Japanese government plans to increase that proportion, which could expose nuclear reactors to wholesale price deflation from renewable energy. Japan is considering implementing a “capacity mechanism” that ensures that reliable power from sources like nuclear reactors—which generate consistently around the clock—are compensated enough to keep them open. But capacity markets around the world have had their own problems, and in general they have not solved this problem of renewable energy crowding out nuclear energy. Some have proposed alternative market designs that have not yet been tested but are theoretically promising. For example, splitting the retail market for electricity into two markets—one for reliable, 24/7 power and another for power whose availability fluctuates—could insulate nuclear power from unhealthy competition with renewable energy. Japan should explore this and other proposals. At the end of the day, it is crucial that zero-carbon, secure sources of energy coexist in the Japanese power landscape. As Japan continues to deregulate its power sector, it should ensure that the right economic incentives are in place for nuclear and renewable energy to both flourish. There is increasing evidence that the release of radioactive material from Fukushima has not posed substantial short or long-term risks to human health. For readers wondering why Japan doesn’t just abandon reprocessing, James Acton of the Carnegie Endowment explains, “Japan is entrapped in reprocessing. Commitments made by the national government to local communities to facilitate the development of Japan’s nuclear industry and, in particular, its industrial-scale reprocessing facility make RRP’s operation effectively inevitable.” The full report is essential reading to understand Japan’s convoluted nuclear fuel cycle policies.